Smooth and creamy is super easy with this polenta recipe! 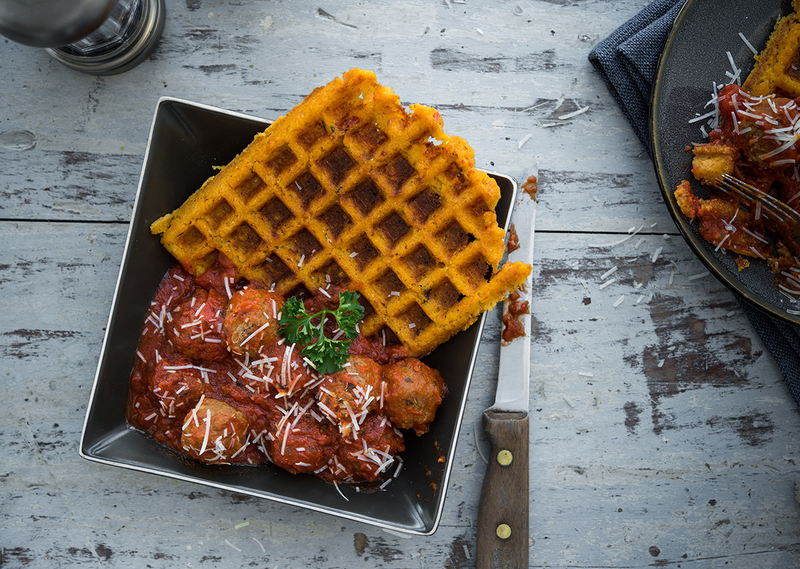 Whipped goat cheese adds richness and flavor to make these waffles a winner. Try them alongside fried chicken with maple syrup, or as a base for meatballs and tomato sauce! In medium bowl, whip goat cheese until smooth. Whisk in ½ cup milk until smooth and creamy. In medium sauce pan, warm 3 cups milk over medium heat. Just before milk starts to bubble, slowly whisk in corn meal, ½ cup at time. Continue to whisk until polenta starts to pull away from sides of pan, about 4-5 minutes. Add polenta to goat cheese and stir to combine. Add salt, pepper, flour, corn starch and egg. Stir to combine. 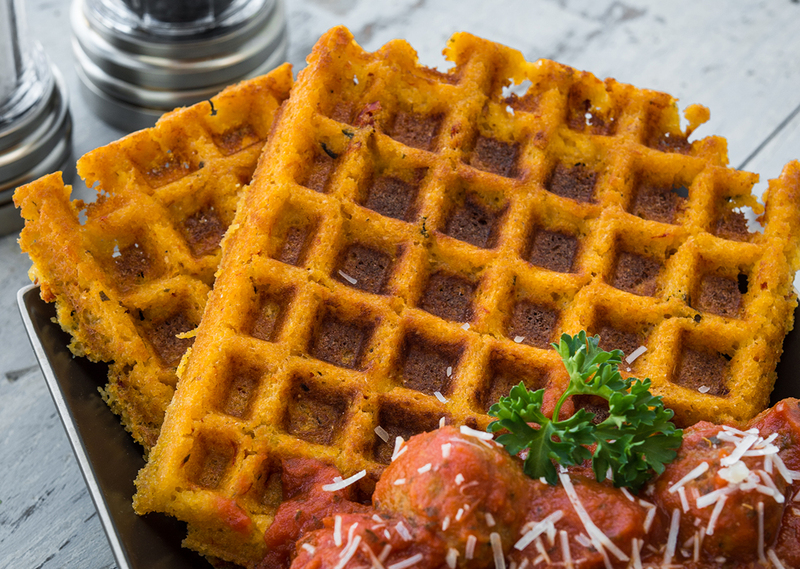 Spoon ½ cup of batter (batter will be thick) into center of each waffle plate and cook for 8 minutes. Tip: Use as a base for meatballs and spaghetti sauce, or fried chicken with syrup.